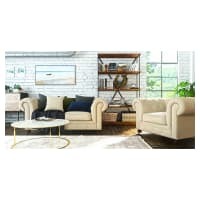 Invest in your interior decor by implementing a range of classic styled furniture within your home. 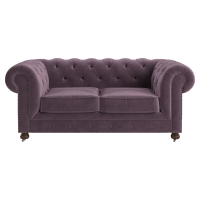 Featured in our diverse sofa and couch range, the chesterfield design is an interior classic. The eye catching deep button tufting and the rambunctious style is a piece that is sure to catch the eye. 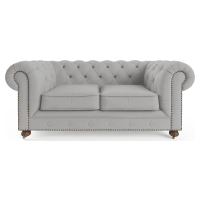 In recent design trends the Chesterfield has moved from the domain of old school British interiors and into modern, exuberant and eclectic styles. 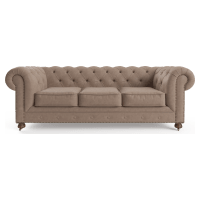 Brosa's Chesterfield sofas and other retro couches are available in a range of fabrics including Warwick velvet fabrics and cotton linen blends, further accentuated by accent studding. 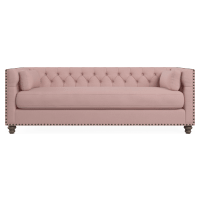 Each lounge for sale is offered in a variety of colours and can be paired with a number of other furnishings and accessories available online. 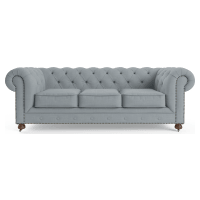 Select from single, two seater, three seater options and choose a style French provincial, classic or something bold and modern. 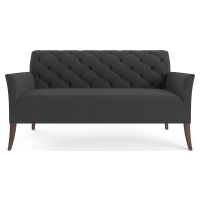 The goal of the Brosa team is to make designer furniture accessible for all. Our affordable prices are managed by working directly with designers. Through this process, we are able to cut out any need to work with importers, wholesalers or traditional showroom retailers. 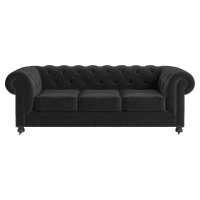 You can purchase online and have your Chesterfield couch delivered anywhere in the country. Not only do we service the major cities of Melbourne, Sydney, Perth and Brisbane but also to outer suburbs and regional areas. 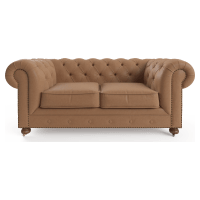 You can view each Chesterfield lounge for sale from Brosa online and have it delivered direct to your door. There are no complicated processes and even our shipping costs are laid out in simple, easy-to-understand terms.